Over the last few years, our title company has orchestrated & closed over 750 short sales. In the course of our work with sellers, Realtors® and lenders, we have heard hundreds of questions related to short sales. In order to help you prepare for your short sale, I have been blogging the most frequently asked questions we have received from people just like you who must sell their property, but who owe much more than the property is worth. 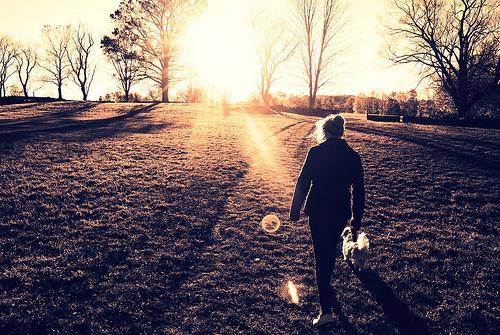 10: Why Should I Short Sell and Not Just Walk Away? 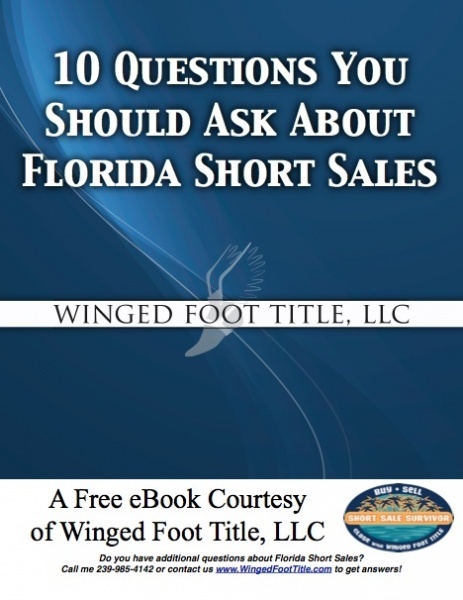 This is the 10th tip of “10 Questions You Should Ask About Florida Short Sales” eBook, which is available as a FREE download. This is ultimately the question you must reconcile when contemplating how to handle your distressed real estate. It will admittedly be a tough nut to crack. 9: What Will I Need to Short Sell My Home in Florida? This is the 9th tip of “10 Questions You Should Ask About Florida Short Sales” eBook, which is available as a FREE download. The tangibles are easy. 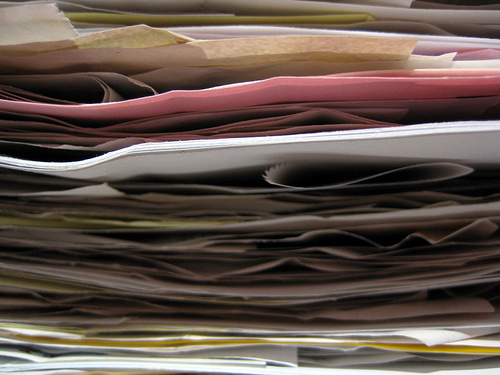 Most lenders or short sale servicers require the same core set of documents and financials. So let’s start with the intangibles, the things every potential short seller must have in order to succeed. Is my credit worthiness better off after a short sale than a foreclosure? Or more bluntly, is the negative effect on my credit worthiness better than or worse than the cost of maintaining the payments and costs associated with owning the real property? In the worst case scenario – where the lender retains the right to pursue me for any deficiency amounts – how might that affect my other assets? What will be the tax consequences from the short sale and will those be any different than a foreclosure if I walk away? The successful short seller in Florida will understand, will be committed, will be patient and will have proper expectations. To expand a bit on those intangibles, everyone pursuing a short sale must understand the issues as described above. With that understanding, the property owner should be able to decide whether the short sale is the right course of action for them. Once they have vetted the issues and made the decision to pursue the short sale, the successful short seller will be committed to the process and to participating fully in that process. This includes being quick to communicate and to provide the required documentation; and to updating expiring documents on a monthly basis. The maxim that “patience is a virtue” is truest in short sales. Most short sales in Florida that fail are derailed by someone’s – seller’s, buyer’s, realtors’, settlement agent’s, lender’s – impatience. Given what we know about short sales – that they can take time to complete, can be frustrating, and that most of the things that cause the most consternation are outside of our control – patience should come easy. But alas, emotion gets the better of some and they are not able to stay patient. This is the death knell of short sales. Along those same lines, the successful short seller will have proper expectations about both the process and the outcome. On the one hand, one should expect to have to provide a wealth of documentation and to do so on a regular – monthly at least – basis. On the other hand, one should also have reconciled the possible worst case scenario as it relates to their short sale approval. For example, a seller should know the standard operating procedures of their lender(s) and should be committed to the process and the outcome even if that outcome is the worst case scenario. With emotions in check and these intangibles “in hand”, the short seller will succeed. As some of you may know, I was slated to speak at the 2012 National Settlement Services & Compliance Summit last week on June 12th and 13th. For those of you who were present on the panel with me, I’d like to thank you very much for all of your input and I hope that these notes that I took are helpful reminders for all that we accomplished. For others who read this blog but who were not able to attend, over the next two days, I’ll share with you many of the talking points that we covered at the NSSCS. In the meantime, you can get a free copy of the VOTA Session Outline.